What should Fall '19 aspirants learn from Fall '18? At GREedge, we love to observe trends and gather insights. This helps us stay up-to-date and serve our students better in their quest for their MS admit. So, we started off with the overall GRE scores accepted for the top 10, 50 and 100 universities. Inference #1: Students with a high GRE score (320+) have a significant advantage over their competition in the first round of applications at Top 50 universities. Inference #2: A drop in GRE scores could entirely shift the bracket of your target universities – you could go from Top 20 to Top 50 with just small point difference. Now, without sounding too much like a strict teacher at a PTA meet, I’d like to say that if your potential is a 315, don’t settle for a 305. Every point in your final GRE Score makes a difference. That said, is your GRE Score the only thing under scrutiny for admissions into your dream universities abroad? Your admissions depend on various other factors such as your research experience, work experience, internships, value conveyed by your SOP, designation of recommenders who have provided your LOR etc. Let’s look at some of the common errors that cost Fall ‘16 aspirants a dream admit and how you can avoid them! The importance of shortlisting your target universities before your GRE exam lies in the simple fact that you can send your GRE scores to four universities for FREE, immediately after your exam. Some ambitious students who are confident about their profile tend to apply only to universities whose academic requirements are slightly beyond reach or just within reach. They neglect “safe” universities or choose very few to apply to. Our admission experts recommend applying to some safe universities also so that you have a fall-back option in case things don’t go as planned. If you are shortlisting universities purely based on university rankings, then I have big news for you! While university rankings are important, you must be more concerned with the rankings of the program of your choice. For example, if you are planning on pursuing Master’s in Chemical, you should consider University of Delaware, Newark. It is ranked #51 overall, but the program is ranked #9 in USA. Future career prospects such as placements, salary etc. Now that you are done and dusted with your GRE, you need to start gearing up for the next uphill battle –Securing an Admit from the University of your choice. Your first step is to get started on your Statement of Purpose. It is worth all the hype and more because it could potentially be the difference between an admit and a reject, despite a good academic profile. The more time you give yourself to draft a compelling SOP, the better are your chances of an admit. GREedge Admission Tip: Start the initial draft for your SOP alongside your GRE online prep, to avoid last-minute hassles of drafting, reviewing and editing. Start writing the first draft as soon as you finish shortlisting universities. This will help you write why you have chosen a particular university and how it will help your long-term aspirations with absolute clarity. Why are you choosing this course? Why are you choosing this university? Why should the university choose you? How will this course at this university help you achieve your long-term goal? GREedge Admission Tip:If you have a truly inspirational story, by all means, emphasize it in your SOP. But never falsify details of your journey to higher education. Your SOP is the closest thing to a personal interview. Just stick to answering four simple questions, preferably within 800 words. Cogent, Concise, and Compelling – should be your motto! Send your GRE scores to 4 universities for FREE! Many students tend to cancel their scores at the last minute because they are disappointed with their performance or are unsure of their acceptance. You must realize that while a high GRE score is important, it is not the only deciding factor for your applications. Have faith and send your scores. You can still reach your target universities after polishing the rest of your application. Besides, if you want to send your scores later, you must pay an additional $27 per report. Consult with an admission expert to understand how you can reach your dream university with your current academic profile! Ideally, you should take your TOEFL/IELTS two weeks after your GRE so that you are done with your exams and focus entirely on your admission procedures. You will also score better because the English proficiency expected for TOEFL/IELTS is much easier than the GRE. The skills acquired in RC & AWA will help your Reading & Writing section particularly. Most students tend to draft a generic LOR and ask any senior person, assuming the weight of the designation will do the trick. However, your LOR is scrutinized carefully before making the final call on whether you are a right fit for the university. A Letter of Recommendation is a testament to your skills by someone who has supervised your work at close quarters. You must ensure that the person recommending you is fully aware of your skills, strengths, and weaknesses. Your LOR must also clearly talk about your contributions, your personality, and your aspirations. Ask your project guides, professors, your supervisor or manager at work who have witnessed your work firsthand. GREedge Admission Tip: You can make a remarkable difference if you send LORs from the respective alumni of your target university if possible, or any professor who has completed their higher education abroad. Can you imagine the horror of losing out on an admit because you missed out on a single document? Once you have shortlisted the universities you want to apply to, scan their website for the documents required. Prepare an elaborate checklist. For example, Purdue University in West Lafayette requires its international candidates to send a Diversity Essay in addition to the SOP, for certain programs. A checklist helps you follow a systematic approach to arranging all the documents you require such as transcripts, proofs, essays etc. Strike them off one-by-one as you collate each document for your final application package. Students generally tend to slacken after the GRE because they are unaware of the extensive procedures. They waste precious time to shortlist universities after their GRE, which ideally speaking should be done much earlier. Many universities follow a first-come, first-served admit system or promise higher admit chances if you apply before priority deadlines. That’s not all, scholarship deadlines at most universities close much earlier than the final application deadlines. Rounding up your admission process early enables you to apply early. Therefore, you stand a chance at clinching a top admit as well as a scholarship! having enough financial support for the duration of your stay. Not choosing the right university for your profile: VISA officers assume that if you haven’t chosen the best university that fits your academic profile and aspirations, then you are planning on settling down. This makes them very apprehensive about offering a VISA. Not having strong finances/lack of proper documents: VISA officers performed extensive background checks on students this year, especially regarding their financial history. They doled out healthy portions of VISA rejects to a lot of aspirants. Also, your overall personality and how you carry yourself makes a huge difference. You must be very sure of your goals and resources to pursue them. But beware of appearing callous or over-confident. Prevent such errors and stay prepared for the big day by attending mock VISA interviews. At the end of the day, honesty wins. Stay true to yourself and talk about your MS Dreams as passionately as you feel within. GREedge Admission Tip: If you receive a visa reject due to unfortunate circumstances, ensure that you re-apply from the same embassy and get a visa approval. This will improve your chances of a visa success. Don’t be tempted to apply from another embassy based on rumours of better approval rates etc. In summary, your GRE and admissions to top universities can be a smooth ride provided you are prepared for contingencies. Stay ahead by planning efficiently. Do you have any questions regarding Fall ‘19 admissions? Drop a comment and we’ll answer right back. Thanks for writing to us! There are universities you can target with a 300 in GRE. I will be able to suggest some specific names if I know a little more about your profile such as internships or projects you have undertaken. Also, what admission season are you targeting? 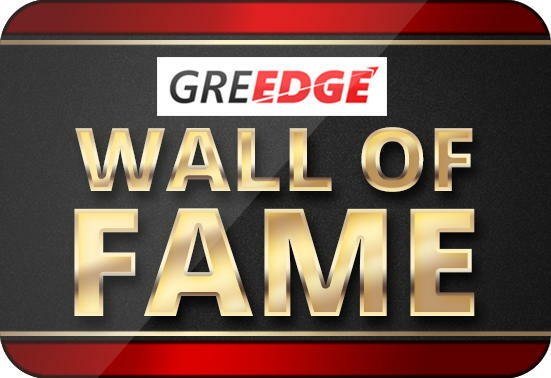 Feel free to write to us at info@greedge.com for any further queries. I got a score of 287 (141 in verbal .146 in maths ..2.5 in away.) Am doing my final year in the stream of civil engineering and till now am maintaining my cgpa as 7.5..
Or else should I retake GRE?? Generally, most universities in the US look for a 300+ GRE score. A higher GRE score will help you target better universities because your CGPA is pretty good. Since you are in the final year now, you STILL have time to retake GRE and apply for the Fall ’17 admission season. Looking forward to hearing from you. Good Luck! I have GRE Quant score of 157. Do I stand a chance for the top 100 universities? Or would you suggest that I retake GRE? It would be inaccurate for me to suggest if you should retake GRE purely on the basis of your Quant score. To give you a rough idea, the average quant scores accepted by universities ranked between 51 to 100 is 160. So, if you are targeting top admits, then you still have enough time to retake GRE and apply for the Fall ’17 intake. Should I consider retaking GRE for Fall 17? I am afraid if I do, I shall not get sufficient time to prepare SOP & LORs as I am not having these documents ready. Should I retake GRE for FALL ’17 ? Is there any chance of getting admit in 20-50 universities with this score ? P.S. I am not having my SOP & LORs ready. That’s a very good question. While universities do not have a minimum AWA score, they do have an average score based on past applications. Generally speaking, an AWA score above 3 to 3.5 is advised for applying abroad. While retaking GRE may not be absolutely necessary, you still have time to do so if you are applying for Fall ’17. Since your Quant and Verbal scores are quite good already, you just need extensive AWA practice. So, you can book your GRE date soon and give GRE again. However, if you don’t want to retake GRE, then you can focus on writing a very compelling SOP that showcases your achievements and aspirations. Many students with relatively weaker profiles have gotten top admits due to a persuasive SOP/LOR combination. If you are interested in getting the best SOP for your profile, please visit: http://bit.ly/sop-with-greedge and drop in your details. We will schedule a call soon to discuss how we can help you get the best admit. No GRE, TOEFL preparation started, yet. Is there any chances for fall 17 intake? You still have time for Fall ’17, provided you take your GRE by the end of Dec at least. There are many top universities ranked between 20 and 50 in the US who have their final deadlines in Jan, Feb & March. I would also advise you to start shortlisting universities and drafting your SOPs simultaneously so that you can complete your applications as soon as possible after that. This way, you can target good universities in a short amount of time. So, don’t lose heart. But do hurry. Next story Admission Diaries – How to target Top Universities with an Average Profile? H1B Visa Under Trump – What about the $130,000 salary cap? MIS vs. Data Science – What’s the right choice?